Good auto insurance is no accident. If you're looking for service by people living right here in Kentucky, you've come to the right place. Our agents are hometown people delivering honest answers, good advice, and quality customer service from within your community. We also have adjusters throughout Kentucky... so when you call for help, you can expect your claim to be handled quickly and efficiently. We offer the best of both worlds, with home-grown service and cross-country coverage. We want you to relax and enjoy your trip wherever the road leads you — Kentucky Farm Bureau Insurance auto coverage is in effect no matter where you drive within the borders of the United States and Canada, or Puerto Rico. Contact your local Kentucky Farm Bureau Insurance agent for more details about policy coverages and availability. No matter where you live in Kentucky, there's a local agent near you. We understand that different drivers have different coverage needs. Whether you drive long or short distances, for business or personal transportation, your local Kentucky Farm Bureau Insurance agent can develop an automobile policy tailored to your specific needs. Interested in saving money on your auto insurance premium? We don't blame you. Luckily, we offer discounts that reward good students, safe drivers, and more. Are you a full-time student with a B average or higher? Congratulations! Bring in a transcript or one of our Good Student Discount forms signed by a school official, and you may be eligible for a discounted premium. Good Student Discount forms are available at your local agency. If you've successfuly completed a certified safe driver's course, bring in a signed certificate of completion to your agent and snag a discount. The driver's training discount applies to single drivers under the age of 25 or married male drivers under 21. Note: Good Student and Driver’s Training discounts are not allowed simultaneously for drivers 21 through 24 years of age. In other words, if you qualify for both the Good Student Discount and the Driver's Training Discount, only one discount may be applied to your premium. We reward drivers that have gone 3, 5, or 8 years without an accident or claim. The longer you've been at-fault accident-free, the higher your discount climbs (up to 25%)! We honor drivers aged 55 and older who successfully complete an approved safety course. Provide us with a certificate of completion, and we'll save you some green. We salute members of the United States Armed Forces who have taken a defensive driving course provided by the U.S. Armed Forces. Drivers must submit a certificate showing completion of an approved defensive driving course. Thank you for your service! *Note: Defensive Driving Course Discounts do not apply if the course was completed under a court order as a result of a motor vehicle conviction. Is your vehicle equipped with anti-lock brakes, anti-theft devices, or passive restraints? You may be eligible for a discount. 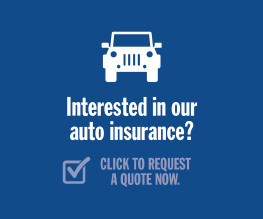 If you insure more than one vehicle with us, you're eligible for a discount! Do you carry multiple lines of insurance through us? You can save on your premiums when you carry both an automobile policy and a homeowner, mobile homeowner, or farmowner policy with Kentucky Farm Bureau Insurance. Certified school bus drivers who can furnish a yearly proof of recertification may qualify. If you are insured by Kentucky Farm Bureau Insurance, and you carry both an automobile policy and an umbrella policy, you might be eligible for a discount.